Local and National Speech will be delived at a public rally on the State Street side of the Wisconsin Capitol Building Saturday, at 3;00 o’clock pm on Saturday, 12 December. All people concerned about oil spills and the warming planet will be in attendance. A federal judge says courts don’t have the authority to question U.S. State Department decisions in a cross-border pipeline dispute. Environmental groups brought a lawsuit against Enbridge Energy, claiming the firm is illegally transporting more oil from Canada by switching it between lines at the border. But a U.S. district judge ruled this week that because the State Department OK’d the reroute, it’s not subject to legal challenges. Enbridge proposed to nearly double the amount of oil on its Line 67 pipeline that runs from Alberta to Superior. According to Wisconsin Safe Energy Alliance co-founder Carl Whiting, the pipeline switch at the border is already sending that much more to Wisconsin. He said the move skirts national laws on cross-border expansions and expressed disappointment with the judge’s ruling. “The last thing this region – Wisconsin in particular – needs is to become the major corridor for tar sands at a time when we’re facing climate issues,” he said. Whiting said parties to the suit are considering other options. 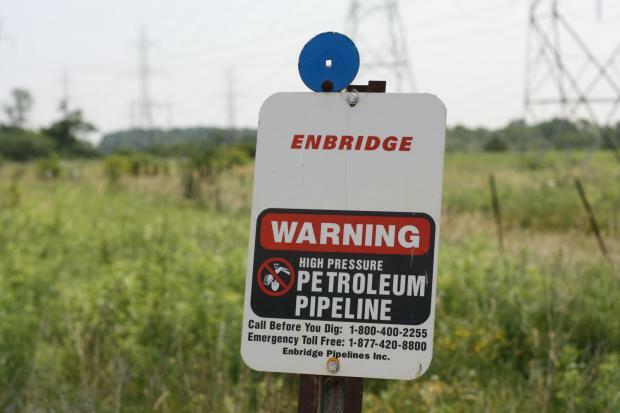 Enbridge spokeswoman Lorraine Little said the judge’s ruling affirms the State Department’s decision that the company is operating its pipelines at the border in accordance with existing permits. Winona Laduke, executive director of the group Honor the Earth and member of the White Earth Nation called the ruling “baffling” in a press release.